Download Magento Banner Slider Extension from Ocodewire and enhance your eCommerce business productivity and sales. The Magento banner slider extension is very important to the e-Commerce website because there are many people who can judge your store with your way of presentation. Moreover, the top position of a website page is most viewed by visitors. The Banner slider extension is an effective tool for advertising and engaging more customers on your store. It can helps you to create and manage multiple banner sliders in admin panel. Along with that, you have options to configure banner width, height, image resize to fit, transition speed and many more. It has an ability to hide images navigation automatically, specify first frame timeout, and specify animation speed. With the help of this Magento extension you can easily display your products and their features in the form of a slider. Install the extension by copying the directories to your Magento installation following the directory structure. The extension will be enabled automatically. Check under System->Configuration->Advanced->Disable Modules Output to confirm, it is enabled under name - Ocodewire_Ocwslider. Clear cache, logout and login again to admin section. You will see Admin menu OCW Slider with sub-menu Banner Sliders and Product Slider. BANNER SLIDERS: Add as many banner slider for different pages, categories with vast options like show on which page, upload all the banner slider images at once, set different height/width for different banner sliders, etc. Set the added banner slider to 'active' and you can see the banner slider on the front-end. PRODUCT SLIDER: Add the product slider if you want to show on left/right sidebars. You can add product sku, image, image link etc. To enable the Product slider go to System->Configuration->Ocw Slider Configuration->Ocw Slider->Product slider settings and enable/disable product slider on the left/right sidebar. To enable the Search Box go to System->Configuration->Ocw Slider Configuration->Ocw Slider->General Configuration and enable/disable search box. Add as many banner sliders for different pages, categories etc. Ability to create a different banner slider for different pages and categories. Slides with different effects selectable for each banner slider. Easily manage effects, width, height, speed,etc while adding the banner slider. For each banner slider, images can be added/removed with information: title and URL while adding the banner slider. 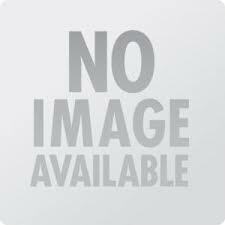 Allow to upload images and links to go to their detail pages. Add promotional message bar at the top of each banner slider individually. Manage promotional message bar colour, main text, link text and link while adding a new banner slider. Enable/Disable search box on top of banner slider. Product slider for left/right sidebars. Enable/Disable product slider as per the requirement. Set opacity, no. of slides visible, height/width of the product thumbnails to be displayed in Product Slider. Q: Error 404 after installation while browsing Advanced Banner Slider configuration in admin? A: If you get an error 404 after installation while browsing Advanced Banner Slider in admin, please flush the cache, log out from admin and log in again. You can manage the configuration without 404 error now. Q: How to assign different banner slider to different pages/categories? A: While adding/editing the banner slider in admin under main menu OCW slider -> Banner Sliders, click on the Show on pages menu on the left side configuration. Select the pages to be visible on and show on as per your requirement. Assign multiple pages or single page for the banner slider. Q: How to add Product Slider and enable/disable on sidebars? A: Under admin menu OCW slider -> Product Slider add new item, fill the details, upload the image and save. Repeat the process for adding different products slides. Now under System -> Configuration -> OCW slider configuration -> Product slider settings, enable/disable slider on left/right sidebars and configure other settings as required. 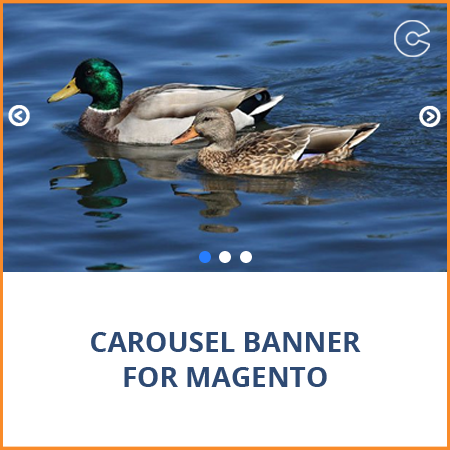 Banner Slideshow Extension in Magento helps you to add Banners as a slider on the web pages of your website, giving your website a creative design and help you attract more traffic.